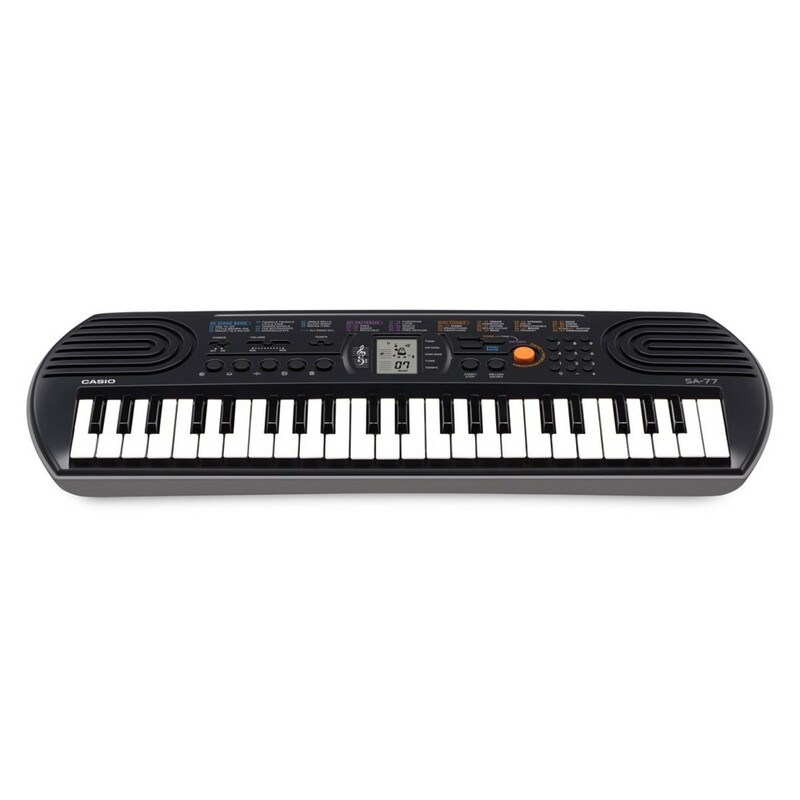 The Casio SA 77 Mini Portable Keyboard is a feature packed instrument for the budding young musician. 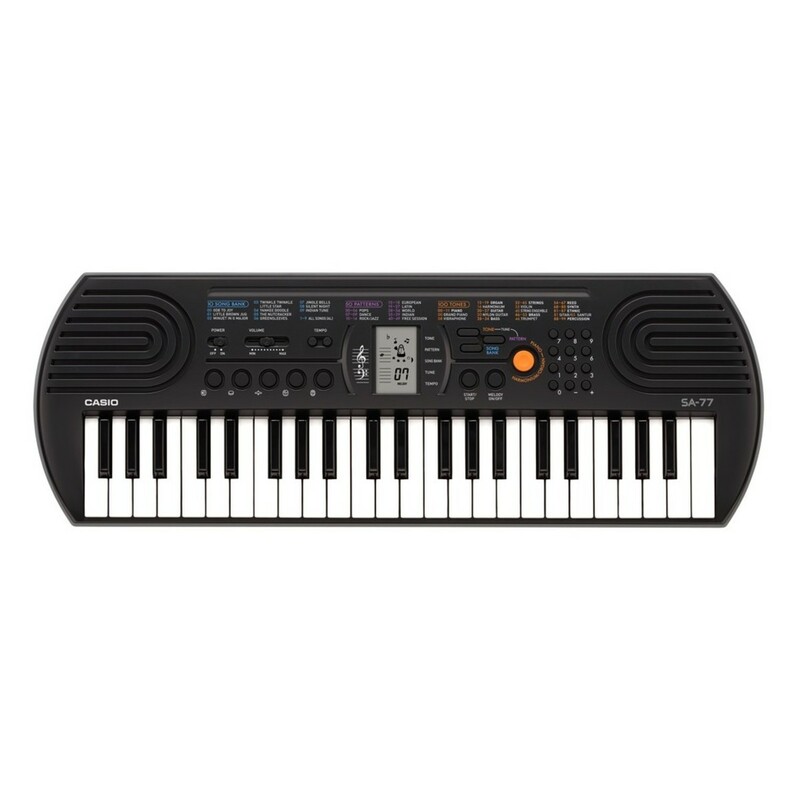 With 50 play-along tracks and 10 included practice pieces, this keyboard is designed to inspire and develop those first musical experiences. There are 100 on-board tones including grand pianos, guitars, brass and strings, providing a diverse range of engaging sounds. The SA 77's easy to use LCD display and labelled controls allow optimum accessibility for all ages. 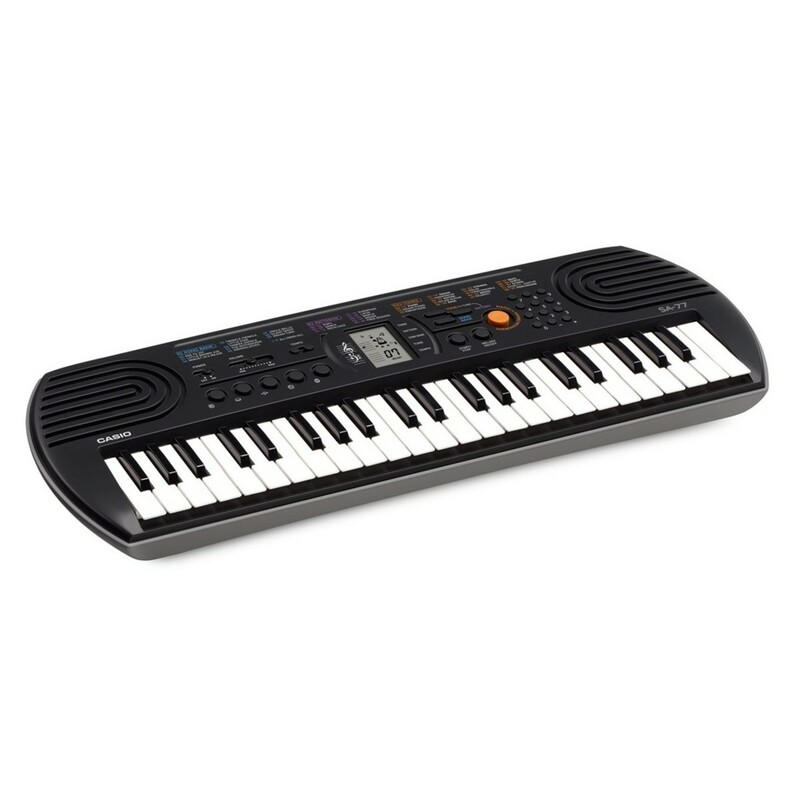 This keyboard will inspire musicians in an entertaining, interactive way. 44 mini keys perfect for little fingers. 100 versatile tones in excellent quality. 50 rhythms for fun play along ranging from waltz to salsa. 10 built in songs offering a diverse range of practice opportunities. 5 drum pads - the perfect introduction to rhythm and digital drums. Easily play along or create solo rhythms with your fingertips. LC display gives easy access to key information and functions. Piano and organ modes can be switched at the touch of a button. Melody cut rehearsal system provides effective training for the right hand. Small, light and very portable.